A man has appeared at Highbury Corner Magistrates’ Court and been remanded in custody after a siege in central London last Friday 27 April, which closed Tottenham Court Road for several hours. Causing criminal damage; Recklessly endangering life. No bail application was made by Green’s solicitor at the appearnce yesterday (30 April) and he will remain in custody until a plea and case-management hearing at Blackfriars Crown Court on 24 July. 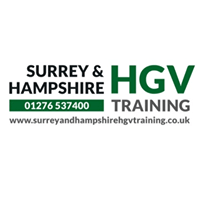 Trust us for local, affordable HGV training.